Deal of the Day:	£299.99 & FREE Delivery in the UK. The rotak 430 li from Bosch is the simplest and easiest way to an ideal lawn. 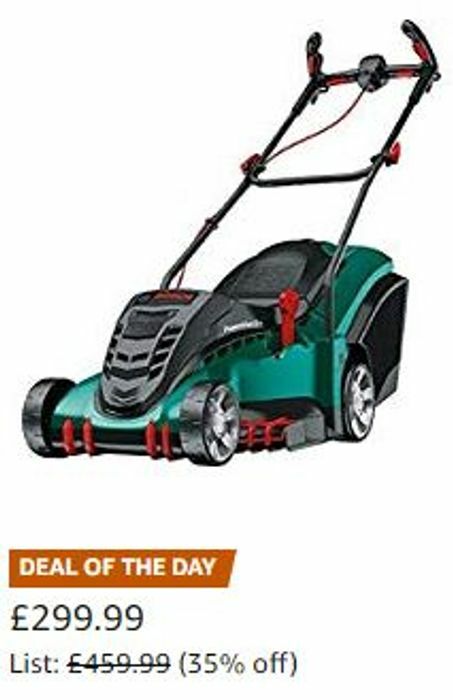 The ergonomic handles make handling the lawnmower incredibly easy even for the biggest of gardens. Bosch Power Drive li plus motor system ensures a reliable cut even under difficult conditions and the quick click system ensures the tool-free assembly, meaning the lawnmower is quick and easy to set up straight from the box. The rotak battery mower from Bosch with energy management for long battery life of the lithium-ion batteries. Extremely fast charging and always ready for use. With innovative rake COMB for edge cut.